As a beauty writer who has worked in the industry for over 10 years, I have come across a plethora of sage tips, tricks, and advice for all of my beautifying needs. Some I have picked up just by watching the masters at work, other bits I received through interviews, then began to implement into my personal routine. Today, I am sharing 5 of my favorite bits of beauty advice with you. 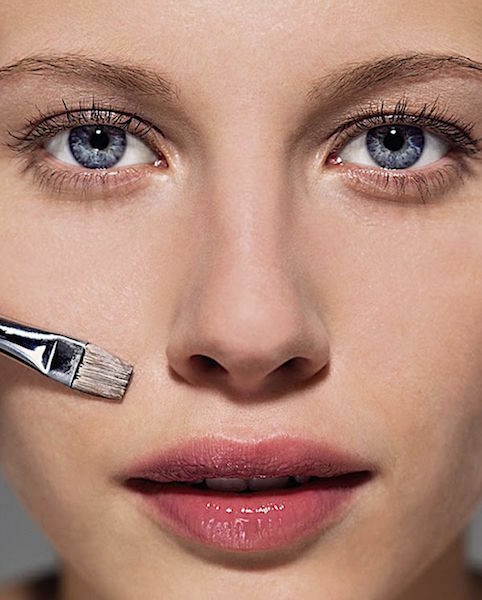 Next week, you”ll get 5 more so check back for these face-saving beauty tricks. *click on links in text to read entire articles and see additional information and images. 1. Just The Bangs – Oily hair is a b*tch, but those natural oils are actually vital to your hair’s health, so don’t over-wash. Instead, a trick that I’ve been doing for years is just washing the front of my hair – the bangs section – with shampoo (no conditioner) every second day. Then a few mists of dry shampoo like Klorane (a must in every beauty arsenal), and you’re good to go for another day or so. Hair-saver! 2. The Double 3 – When it comes to bronzer application, there are a slew of differing techniques to use. But the one that I find the easiest with the best results comes courtesy of Josie Maran and her double 3 application trick: “Make the number 3 from your temple down to your chin. So with your bronzer brush, start at your forehead/temple, curve into your cheekbone as if you were writing the number 3 and then curve under your chin. Apply on both sides, so a backwards 3 and a regular 3, on each side of your face.” It literally gives the most natural sun-kissed effect. 3. Skip The Mascara – Going mascara-less can be frightening, especially if you’re a daily mascara user. But mascara can actually age you… and there are times when bold lashes aren’t necessary. I first tried this trick back in 2014 after interviewing Kelsey Deenihan on how to achieve a monochromatic face. She suggested skipping mascara and instead adding a beige liner like this one, to the waterline rim to open the eyes and make everything appear brighter. So, you can still use eye makeup, just opt out of mascara. It really does take years off of your look! 4. Dilute and Mix – When it comes to face makeup – foundations, BB creams, and even tinted moisturizers – my absolute favorite trick is diluting and mixing formulas. You know how you love your full-coverage foundation but it gets a bit casey by end of day? Well, mix a dollop of face moisturizer or tinted cream into the foundation and apply. I mix multiple face products: From BB creams and tinted moisturizers for day to tinted moisturizer and foundation at night. Not only are you able to get an exact color match, but each formula is unique to specific skin concerns so by diluting and mixing your getting the best of all worlds. Try it… seriously. 5. Open the Face – This is another favorite complexion trick: To awaken and open your face, apply a highlighting corrector pen like YSL Toche Eclat to specific areas. I’ve always used this technique on brow bone and under eyes, but makeup artist Jenny Patinkin recently urged me to try it on the sides of my eyes and mouth… and I’m completely obsessed. Here’s how to work it: Create a line going from the outer edge of your eye up and out toward your hairline, then dab until product is absorbed. Do the same thing on the outer edges of your mouth, up and out following the same line as the eyes, which also flows with the natural curve of your cheekbone. Dab into skin with your fingers and the illusion of liveliness and symmetry has been achieved. Another trick: Use a fluffy blending brush like this one, normally suggested for eye shadow, to naturally and effortlessly blend the highlighting corrector pen. The results are an airbrush finish! Have a great beauty tip or trick? Tweet them to us here.